Koro Field Top Maker heavy-duty fraise mowers – Koro Field Top Maker – a heavy-duty fraise mowers, for removing surface matter, weeds or the entire surface. Ideal for sports fields and golf courses. 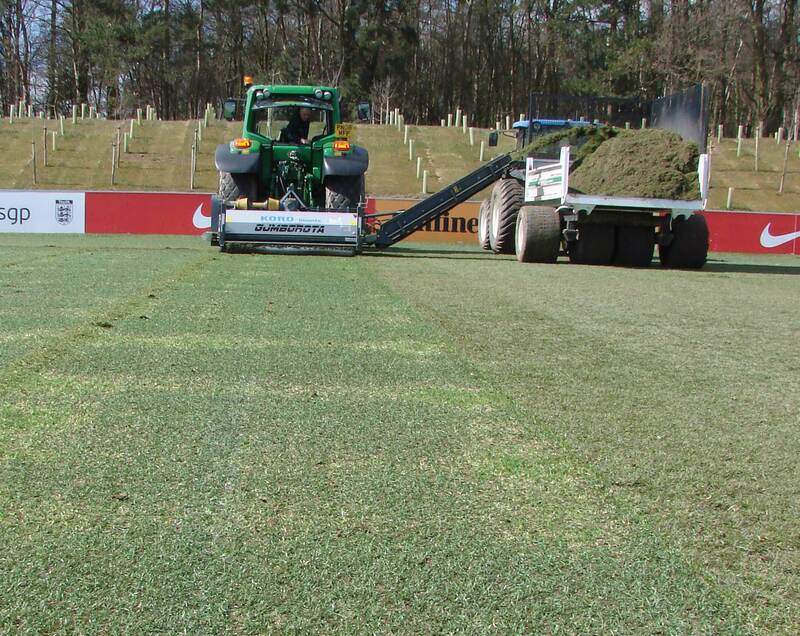 The brainchild of Ko Rodenberg, the KORO® FIELDTOPMAKER® (KORO® FTM®) came to market in 1997 as the key machine in a renovation programme designed to improve pitch quality and extend playing hours on natural turf soccer pitches. 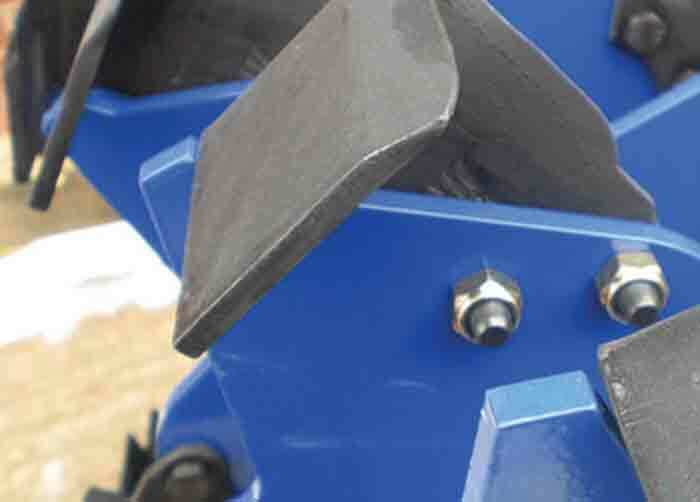 The acquisition of the manufacturing rights by Imants in 2009 and the fine-tuning of the “Fraise mowing” renovation practice has led to the design of a new range of rotors. Campey Turf Care Systems has been at the fore in developing the Imants KORO® FIELDTOPMAKER® into a system that can be used on a wide range of surfaces for a number of different renovation practices. “Koro-ing” is now an established renovation practice worldwide! The indisputable success of the KORO® FIELDTOPMAKER® across all sports surfaces has helped produce healthier turf through greatly improved surface hygiene, and the remastered 1.2m, 1.6m, 2.0m and 2.5m models build on that success. To make the machines more user-friendly for golf the weight and balance have been analysed, resulting in a lighter and steadier experience. 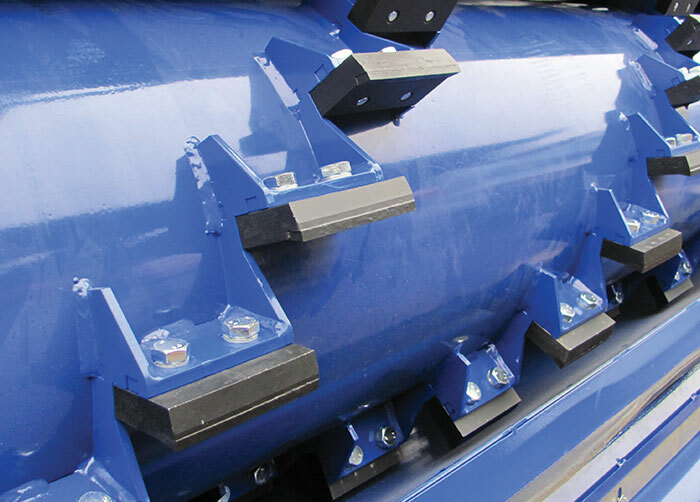 Solid locking pins now offer greater consistency and the overall performance is improved due to the re-designed patented UNIVERSE® rotor and angled cross conveyor. 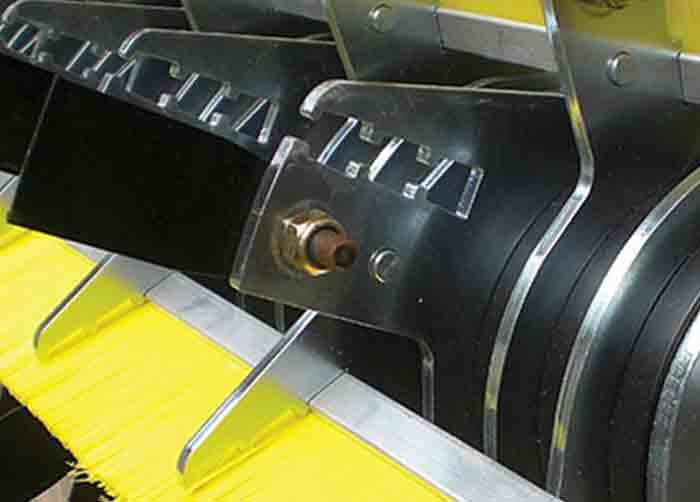 The new angled cross conveyor has been introduced to move material evenly with perfect belt tracking, whilst the weight of the machines has been reduced using a removable 100kg weight that greatly improves the overall balance. This redistribution of weight means a much smaller tractor can be used to run the KORO® FTM® because the centre of gravity has been shifted towards the tractor making it easier to lift. Even when the weight is removed the machine still has improved balanced against previous models. Maintaining the new range of KORO® FTM®’s has also been enhanced to ensure working reliability. A modular set-up allows the machine to run without belts and the strong state of the art driveline is maintenance free. All of the range can facilitate the enhanced patented UNIVERSE® rotor which offers improved clean up and greater surface hygiene. Previous rotors will fit on the 2.0m and 2.5m models but not on the 1.2m or 1.6m. 35 – 50hp. Creep speed or hydrostatic drive required. 1,330kgs depending on rotor fitted. 1,530kgs depending on rotor fitted. Removing organic debris from semisynthetic grass pitches. Modern fraise mowing on warm season grasses. UNIVERSE® rotor International Publication Number WO2013/027005. Accurate planning of surface down to 50mm deep. Unrivalled surface hygiene for a clean, smooth surface. Tungsten faced blades for increased durability & reduced down-time. Original digging blade for fraise mowing & surface removal. Suitable in lower quality turf areas. • Ideal for stripping prior to re-turfing. For conventional scarifying & verticutting. Available with 2mm or 3mm tungsten tipped blades. Includes adjustable brush strips for increased surface hygiene. Coupled with the KORO® FTM®’s infinitely fine, depth adjustment (accurate to 0.1mm). The TERRAPLANE® Rotor will shave off the precise amount of organic material required, leaving a clean, smooth and even surface. The durability of the tungsten-faced blades prolongs the accuracy of cut and reduces the downtime associated with changing blades. The un-rivalled surface hygiene of the TERRAPLANE® Rotor eliminates any clean-up pass and saves time, labour and fuel costs. 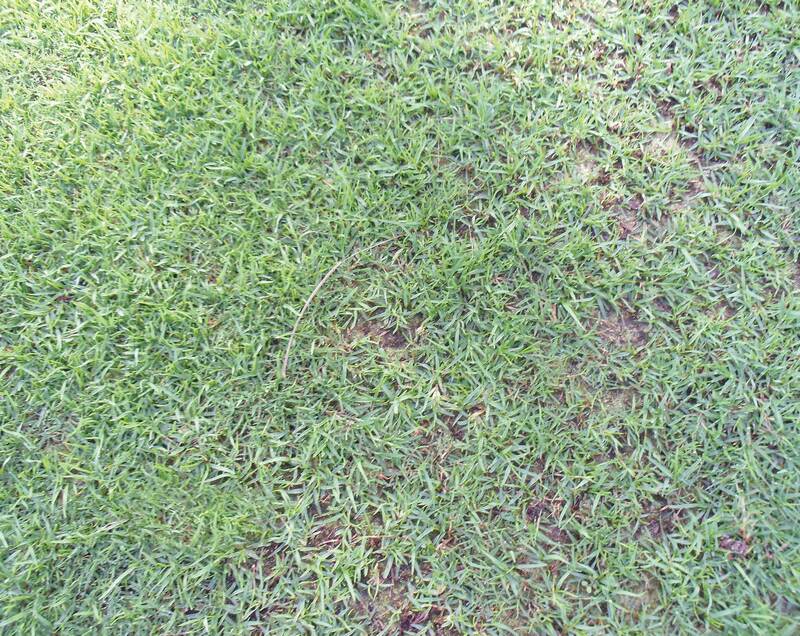 A modern approach to managing excessive thatch build-up in warm-season grasses is “Universe Fraise Mowing”. 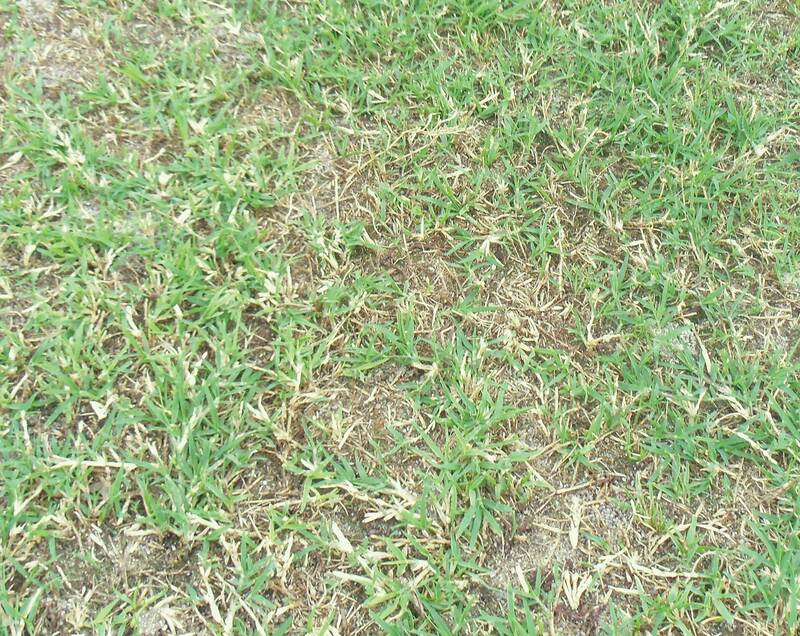 Most warm-season grasses are prone to the rapid accumulation of thatch in the sward. Conventional verticutting and scarifying only removes around 7 – 10% of the surface matter, and unless done on a regular basis cannot keep up with the accumulation of thatch. A radical approach is to remove all the organic build-up in one pass. 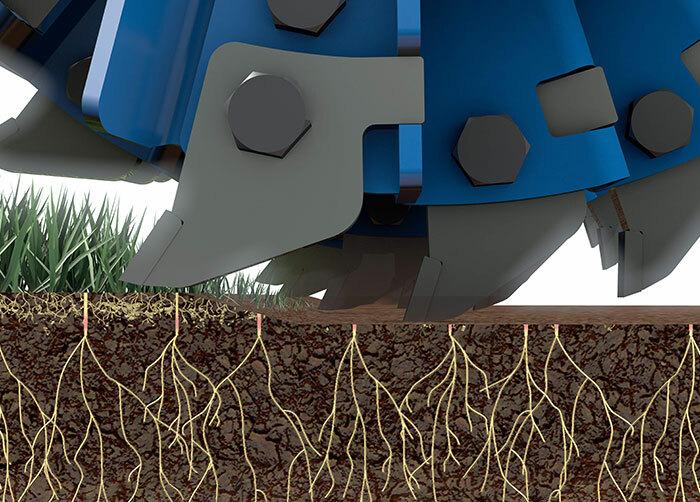 The unique feature of the “UNIVERSE® Rotor” is that it can be set accurately to leave rhizomes and stolons in place, thus eliminating the need for re-sprigging. Once exposed to sunlight by removal of the canopy, re-generation is rapid, often with full recovery in 3 – 4 weeks. Removing the thatch and organic debris minimizes water retention at the surface, ensuring that any available water passes directly to the root zone. In transitional zones, “UNIVERSE® Fraise Mowing” is used to speed up the transition from winter grasses to warm season grasses. The UNIVERSE® Rotor will take out the cool season grass and any organic build – up, leaving rhizomes and stolons in place. By removing the compaction for water and nutrients and exposing them to light, the transition period is dramatically reduced. The original concept of the UNIVERSE® Rotor was for removing the organic build-up from the surface of the semi-synthetic, natural turf pitches that are now common in professional stadiums around the world. The UNIVERSE® Rotor achieves excellent surface hygiene without damaging the exposed synthetic fibres, often in one pass! 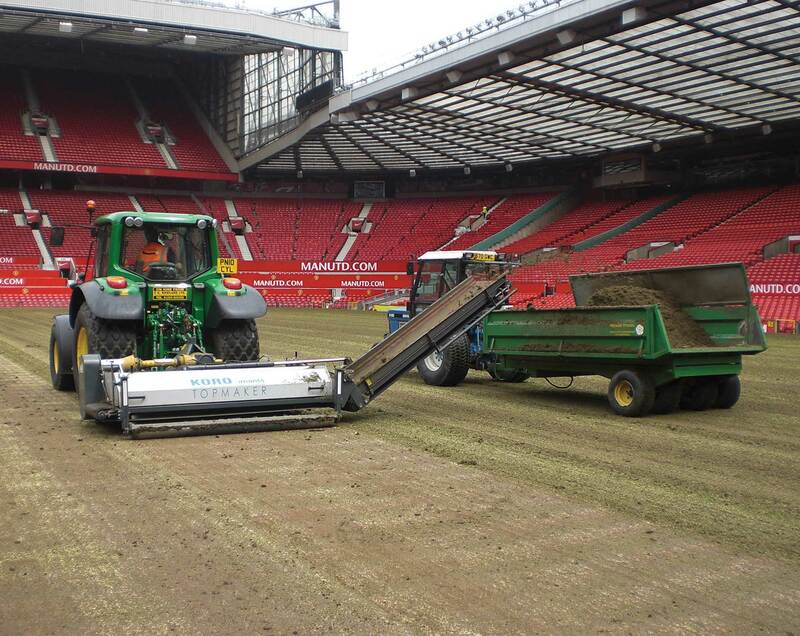 Fraise mowing with the new TERRAPLANE® Rotor now forms the platform of renovation practices for the majority of Premier League and Football League Clubs, as well as other established sporting venues like The All England Lawn Tennis Association’s Wimbledon tennis courts. “Koro-ing” removes all unwanted organic matter, and reduces poa annua to a minimal level, leaving the surface flat, level and even. Follow-up renovation includes decompaction and top-dressing, before over-seeding, sprigging or sodding. 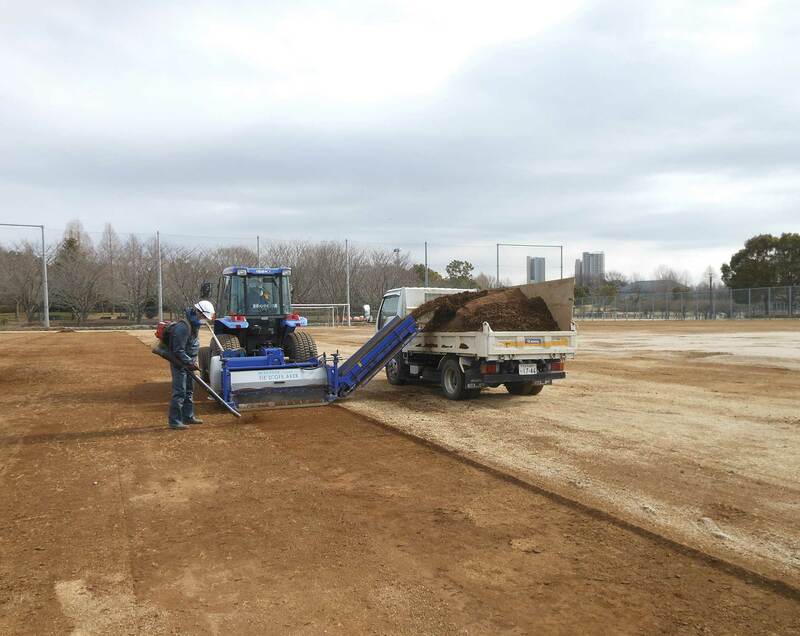 KORO® FIELDTOPMAKER® (KORO® FTM®) fitted with Digging Rotors have been used to good effect in Japan, following the nuclear reactor tragedy at Fukushima in 2011. The surfaces of hundreds of sports fields, parks and other grassland areas have been removed and decontaminated material buried. The accuracy of the Koro machines has meant that a critical depth setting can be maintained resulting in fast regeneration without the need for sprigging or sodding. KORO® FIELDTOPMAKER® (KORO® FTM®) can be used for conventional scarifying or verticutting, conveying the excess thatch into an adjacent trailer or truck. The extra collection capacity is far more efficient than an integrated hopper and greatly increases productivity, especially if two or more trailers can be utilized. The Scarifying Rotor can be fitted with either 3mm tungsten tipped blades for fairways & sports fields, or 1.5mm blades on the FTM1200 & FTM1500 models for finer turf. Integrated, adjustable brush strips are fitted to improve collection and surface hygiene. A mid-mounted, anti-scalping roller is available for undulating ground. The conveyor and elevator belts on the latest FTM2000 and FTM2500 models are now 40% wider, increasing capacity and improving productivity dramatically. Watch this animation that illustrates how the KORO® FIELDTOPMAKER® (KORO® FTM®) removes unwanted surface matter such as poa annua, thatch, weeds or the entire surface. Get a real sense of this machines capabilities in the environment it was built for, take a moment to watch it in action. There are many more videos available of all our exclusive products on the Campey YouTube channel. KORO® FIELDTOPMAKER® (KORO® FTM®) – Highest specification heavy-duty fraise mower available for your sports surface, take a moment to watch it in action. There are many more videos available of all our exclusive products on the Campey YouTube channel. 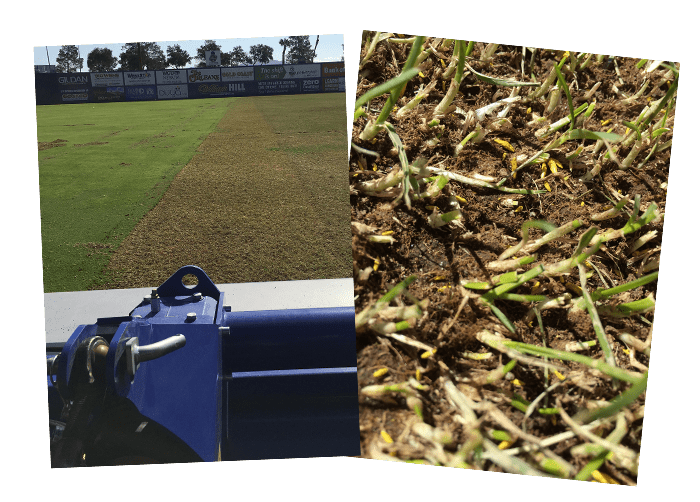 As a follow up to the example shown in the previous regional update from the West Region, this video shows the results of fraise mowing a bermudagrass fairway. Two years ago the superintendent used a big roll sod cutter to remove a fine-textured soil layer that had developed above coarse-textured sand-capped fairways. Sand-based sod was installed and allowed to mature without overseeding the first winter. The following summer, fraise mowing was used to remove a heavy thatch layer from the new sod. The fairway was closed for four weeks each summer to recover from the aggressive fraise mowing – but the results have been impressive. Watch the video to see for yourself. 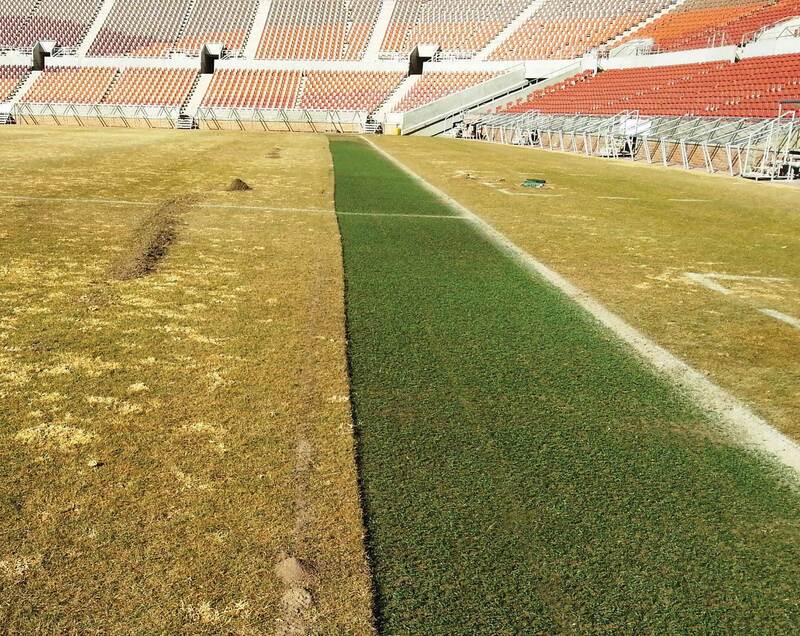 “Currently, we are utilizing the FTM® for a turf conversion project, changing from Bermuda to Seashore Paspalum. After eradicating the existing turf with several pesticide applications, we were able to strip 30 acres (front 9 wall to wall) with the machine in 3 weeks, which we were very impressed by. 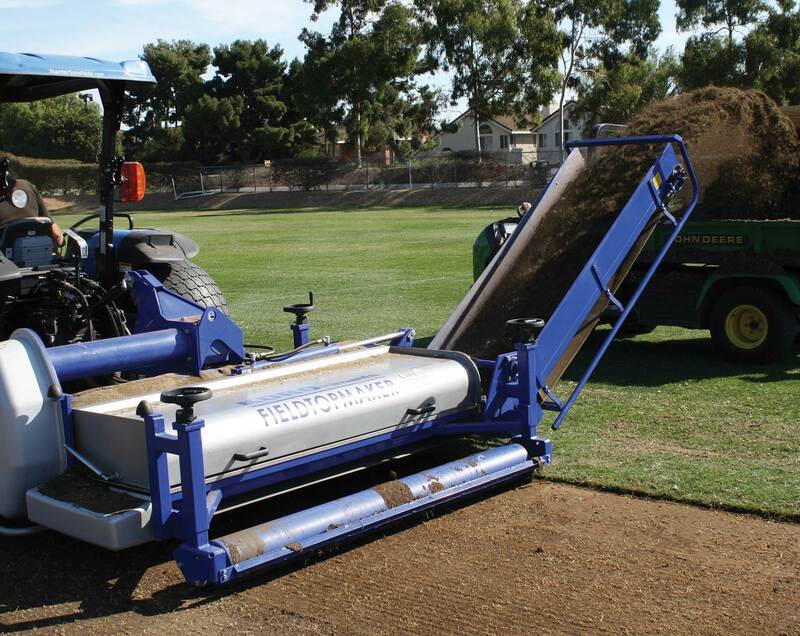 “The versatility of the machine matches the versatility of our pitches. It’s a key piece of equipment for us during the renovation period and the Universe Rotor has a lot of applications that mean we can work on the natural, fibresand and Desso pitches. A behind-the-scenes look at how the Cardinals grounds crew is converting Busch Stadium into a soccer field using the KORO® FIELDTOPMAKER® (KORO® FTM®) ready for Manchester City FC vs Chelsea FC. 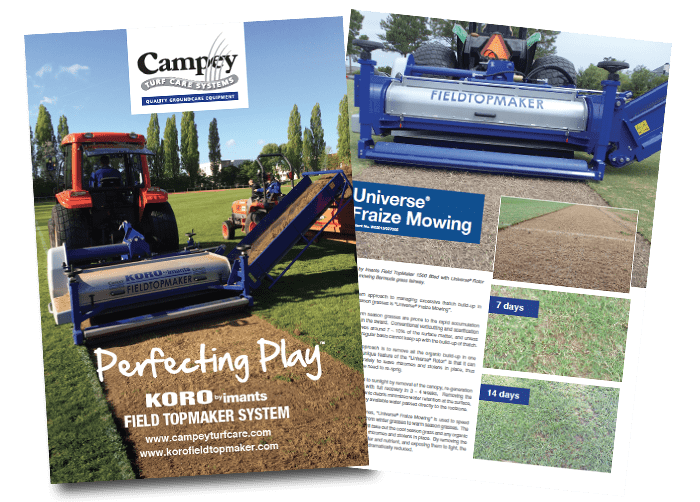 Campey Turf Care Systems have been at the fore in developing the KORO® FIELDTOPMAKER® (KORO® FTM®) into a system that can be used on a wide range of surfaces for a number of different renovation practices. “Koro-ing” is now an established renovation practice worldwide! Please take a minute to read more about how “Koro-ing” has transformed turf renovation. Download the KORO® FTM® Story here. Both AAA baseball stadiums in sunny Nevada utilised the practice in mid- September. A collaborative effort between Sports Turf Services and Natural Grass Advisory Group® carried out the work and has provided agronomic support to the hardworking field management teams from the early stages of fraise mow preparation ongoing through full grow-in. Turf Matters catch up with Campey Turf Care and Premier Pitches at SALTEX 2017. Richard Campey and Carl Pass discuss how the KORO® FIELDTOPMAKER® (KORO® FTM®) takes turf care to the next level. SALTEX is the UK’s national event for grounds care, sports surfaces, amenities, estates and green space management. From turf care and specialist machinery to landscaping and playgrounds. The introduction of the new rotors came about from research we carried out and learning from sports turf groundsmen that they wished to enhance the quality of their sports turf and playing surfaces. Please take a minute to watch this really interesting video from the 2015 Campey Imants Renovation Tour. Please take a minute to read more about how “Koro-ing” has transformed turf renovation.